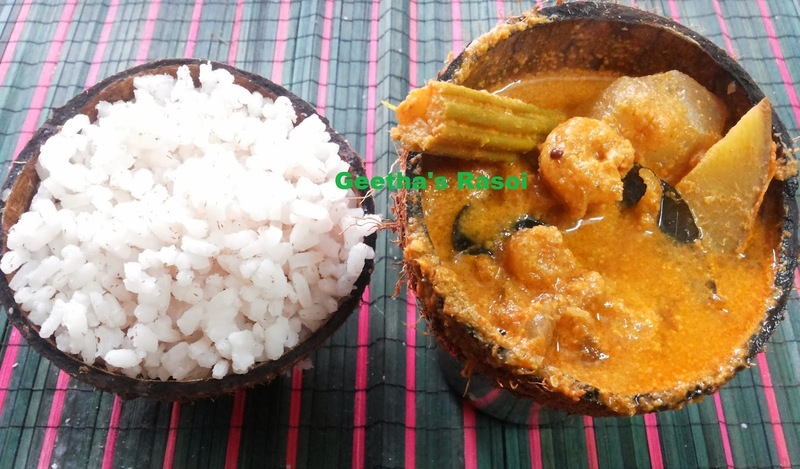 My neighbour aunty used to say that prawns prepared with Vellarikka, muringa and Manga tasted excellent but I never tried it till I saw Sareetha Sugunan post in a Food page in which she had tried Chemmeen-Muringa curry. Seeing her post I got very much tempted then I decided to prepare the curry with neighbour aunty’s guidance. 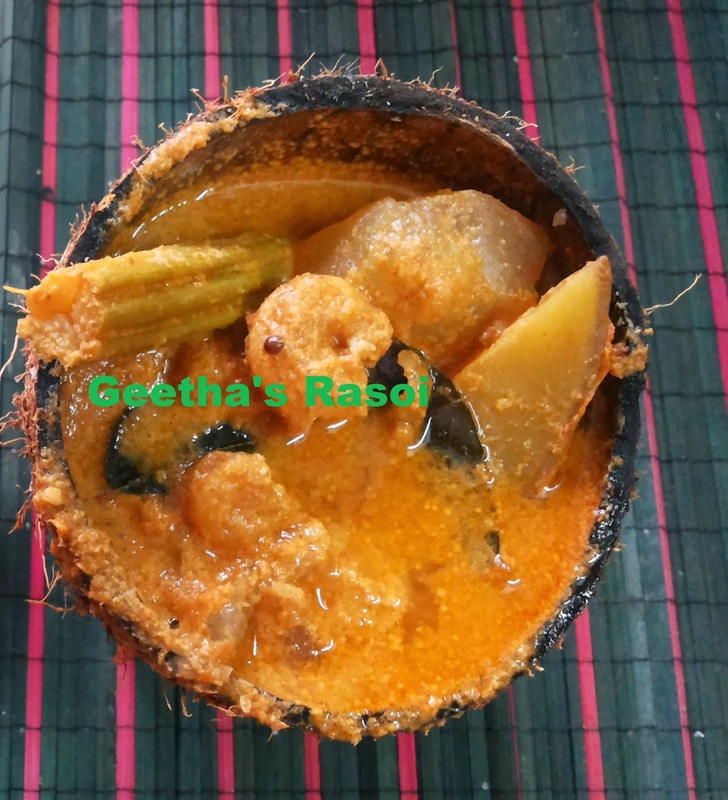 This is my Republic Day special Recipe. Its really very tasty curry. Grind grated coconut, jeera, fennel seeds and turmeric into fine paste. In a mud pot cook prawns, drumstick and yellow cucumber with salt till done. Heat oil in kadai splutter mustard seeds then add curry leaves. Then add onion fry till light pink then add chopped tomato and green chilly fry for a min. Then add chilly powder, coriander powder fry for 2 min then add chopped tomatoes cover and cook till tomato becomes soft then add cooked prawns and grind masala and mix well. Boil it for 10 to 15 min so that masala coat fish properly. Serve with boiled rice.